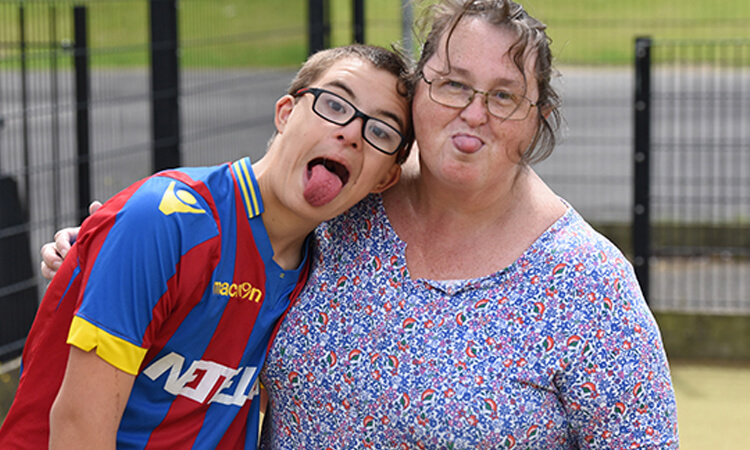 The Palace for Life Foundation’s Down’s Syndrome team, the DS Eagles, have grown in recent years and now play games against the likes of the Fulham Badgers. Max, one of the more experienced players within the team, started playing around seven years ago and is really enjoying his time playing structured football. Before he started attending sessions at the Foundation, Max was very shy and didn’t have the opportunity to play football alongside people with disabilities. Being able to play in matches whilst having a sense of competition has been integral to Max becoming more confident and sociable. His favourite memory so far is scoring against Fulham Badgers, which was also a proud moment for Alison as she recognised how much playing in this team meant to Max. Max also regularly attends the social gatherings that the parents of players in the team organise, with Christmas and Birthday parties being favourites of his. Gatherings like these mean that the players, and parents, develop strong friendships aside from being teammates, and Max has benefited from greater levels of social interaction with people who have had similar experiences.